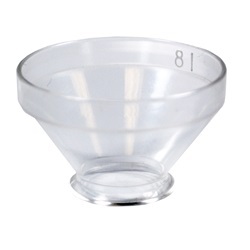 Reusable scleral immersion shell after through cleaning. 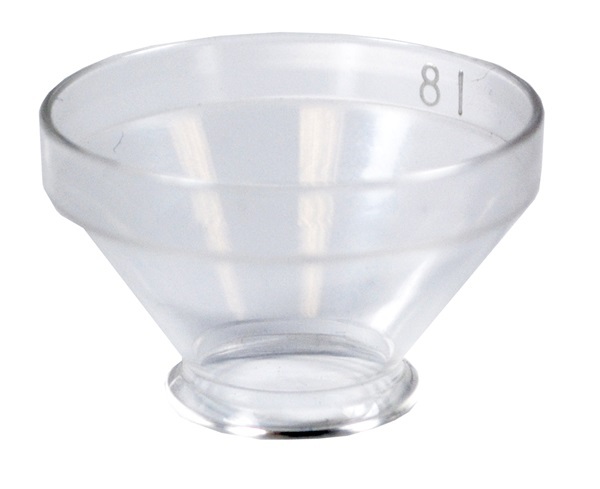 Fill with sterile water and insert probe for readings. Clear shell.